Just installed Window 7 and trying to change wallpaper. The way window 7 change wallpaper is a bit different compare to Win XP. 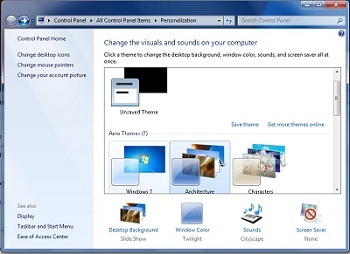 As Wallpaper been classified as personalization in Window 7. 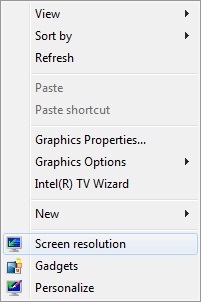 Desktop background window will appear. Now you can change the wallpaper that you like here. 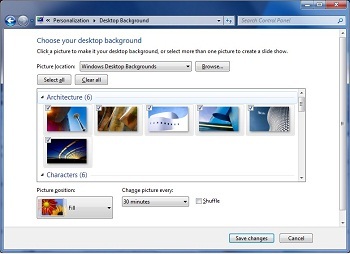 Click on any of the wallpaper that you want and click OK. Change the value in “Picture Location” will give you more options. hi raj, wat’s ur Win 7 version? Starter? Basic? Home? Pro?